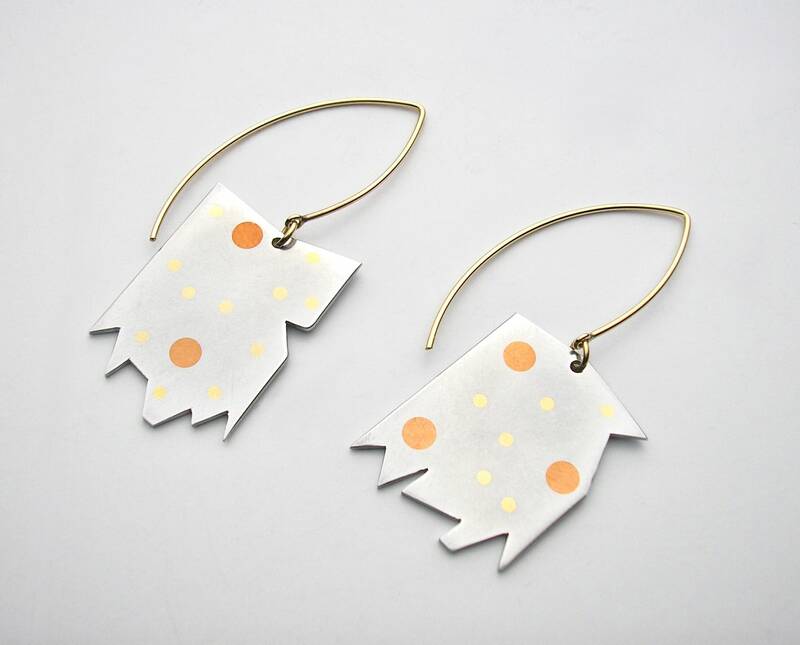 Lively drop earrings feature reclaimed Aluminum with inlaid 14K gold and Copper. Earrings have a subtle matte finish and are suspended from 14K goldfill earwires. Total length of earrings is approx. 55 mm, width is 23 mm. Exceptionally lightweight!